Incase you live under a rock, Valentine's Day is Friday! I absolutely love Valentine's Day as it comes with all sorts of wonderful goodies and the day is full of love! It doesn't bother me at all that I'm not in a relationship because I have so many lovely friends and fam that I can love on and that's the best anyway! Katie and I have some super fun things planned (she's my forever Valentine), but in the meantime, I've got a lovely recipe that's perfect for V day! 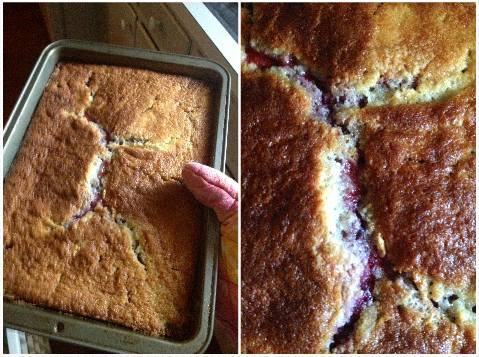 The only things you need are frozen berries (whichever kind you choose), butter, flour, milk (I used Silk milk), and sugar! I did this on my kitchen floor on top of newspaper so I could be as messy as I wanted and just roll it all up afterwards…I highly recommend it if you're a bit messy! Go ahead and put your sugar (only 2 cups) and flour into a mixing boil. Add you milk in while the butter is melting and get to mixing! Once you've gotten in blended together, add in the butter and mix until all the clumps are gone. 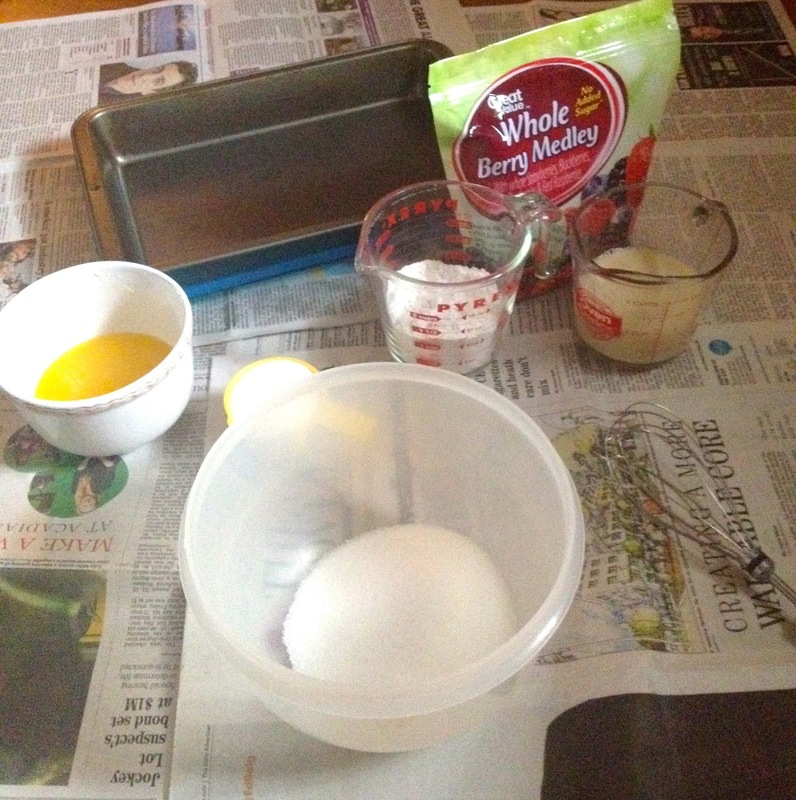 Oh, look at me mixing away…. 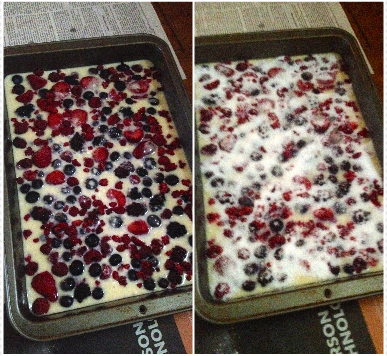 Once the batter is mixed, pour it evenly into your pan (make sure to grease it!) and just pop the berries on top! I used my entire pack of fruit and just sort of spread it as evenly as I could! Then take your 1/2 cup of sugar and go crazy! Isn't it so pretty? Pre-heat the oven to 350 degrees and place it as near to the middle as you can! It took about an hour for me, but as soon as it goes all golden and gorgeous (and passes the toothpick test), it's done! I absolutely loved the mixed berries as it was just as pretty as it was good, but it can also be made with just cherries, blueberries, blackberries, etc, or even peaches. I ate mine as soon as it was warm enough with a scoop of ice cream and it was absolutely divine! Even my mom, who never eats sweets, loved it! What are you making/doing for Valentine's Day? This looks soo good! I love cobblers and can only imagine how good it is with the ice cream!